Multiple iOS 9.0 users rocking various iPads and iPhones recently took to various online mediums to voice their discontent at the fact that the iOS 9 update brought along multiple bugs and generally caused their devices to succumb to constant lags. As all iPhone and iPad owners probably know by now, Apple recently started updating its mobile devices to iOS 9.0, the latest - and, supposedly, the greatest - version of the company's mobile operating system. Available on iPhones starting with the iPhone 4S and newer, all iPad mini versions, and full-sized iPads starting with the iPad 2 and newer, the new iOS version comes with only a limited number of new features. While Apple promised to bring improvements to the core of the OS in an attempt to boost performance and stability, it looks like many of those who have updated their iPhones or iPads are now reporting various bugs and performance hiccups. Apparently, the iOS 9.0 update causes lags throughout the operating system, and, in some instances, even causes apps to randomly crash. Judging on the various posts on Reddit and Apple-centric forums, no iPhone or iPad version has been completely spared, but it would appear that those rocking the iPhone 5s and the iPhone 6 took the hardest hit. Note that not all users are reporting problems with the iOS 9.0 update, but there are just too many reports of bugs and crashes for this to be considered an isolated problem. Unfortunately, it doesn't look like resetting the devices and performing a fresh install of iOS 9.0 solves the issues. What do you guys think? Noticed any lags and bugs since updating to iOS 9.0? If so, drop us a comment and let us know! Let us feast upon this article and bash them apple users :D :D :D lol /s I hope you get your fixes soon, these days you can't expect a bug free release from any company. It may be the complexity of the OSes today causing this or other reasons. iPhone users will get their fixes soon because they aren't hogtied by carriers or software fragmentation. Every iPhone is a Nexus device as far as updates are concerned. Yeah right Strudelz100. Many bug present in ios 8.0 where still present in last ios 8 version. or they fix one issue and create another. At least on nexus device if you want to compare in most case incremental OS update ( 4.4.1 to 4.4.2 example) will fix the bugs present in last version. Doesn't even matter, this is probably just another strong arming tactic as is Apple's game every damn year. Only the iFans don't understand how this game is played. All iDevices are crippled under the guise of a new and untested (but somehow just works in iFanLand) iOS update. Then new iPhone comes out and the faithful upgrade to take their iTheathan levels up a step. Then they release a magical fix for all (these days "some") of the bugs and lag from the initial update. iFans forget this ever happened due to low memory (allusion intended). Bugs in iOS? But it's such a perfect OS. There's no way. You mean fragmentation such as two sets of apps from same developers, one for tablet and the other for phone? Or were you referring to force touch for current gen ios devices that apps won't be able to take advantage of in last year's iPhone? Or were you referring to Apple Pay via fingerprint, unavailable on the venerable iPhone 5s? Or siri not available on the iPhone 4? There are more examples of fragmentation like this, despite being produced by ONLY one manufacturer, Apple themselves! The iPhone doesn't have any complex functions. We aren't talking Windows or Android. We are talking about iOS where the hardware basically remains the same since 2007. 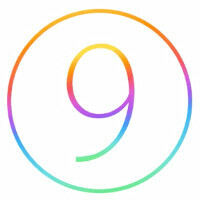 Apple has been working on iOS 9 for how long? The older phones or tablets, arent even getting all the features, so what problems should they be having? I only noticed 2 things. But when I do iOS updates, I first backup my device > then I put it in DFU mode > Download the latest package and install it with itunes fresh. Then when its done I restore a backup which is usually when I see problems. I didnt this time. But when I do, I do it a second time and I just restore the apps without using a backup, which I shouldnt have to do. But we have been told, Apple never releases anything until its perfect. Well everything since iOS7 and Apple Maps has been far from perfect. I'm not sure what you mean by the hardware remaining the same since 2007? the evolution of hardware on iphone go much more slowly than on android. By example the only real innovation they put in the soc is going from 32 bit to 64 not going from 2 core to 4 then to 8 cores. Also same thing for memory its was always 1 gb. they just crammed too much stuff on a OS not made to run all those stuff. I think he means software, because that would be a fairly accurate statement. Before ios 7 ios was super stable but almost no features. Now they add features and its get unstable. This is exactly why many android OEM * Shamesung excepted * are cleaning up there android flavor to not fill it with features thats make it unstable but Apple is going the other road. apple please stop copying Android. I think it must be related to OTA updates. I updated my iPhone 5 via iTunes and don't experience lag. I really hate frustrating framedorops when I open Spotlight Search(Also hate why they brought it back to the springboard). "...these days you can't expect a bug free release from any company..." ... then why the hell am I paying +800 Euro for a freaking phone? May also happen when updating to Marshmallow. dude I'm on Marshmallow preview 3. I'm amazed at how stable it is. BUT bugs really show themselves when the OS is released and there are much more users and different scenarios to trigger them damned bugs. but generally I didn't expect it to be this stable. Probably one of the reasons Sony takes so long to release the update. No it's not the features. It's the FACT that white infused UI do very bad on AMOLed-screens. Everone should by now know that black pixels (not "dark" grey but BLACK) are switched off screenpixels and hence SAVE battery. While white pixels are the very worst in terms of battery use for AMOLed-screens. So not only those horrible white website screens (like PA) degrades battery-usage but the UI in general degrades it even further despite Google's efforts to increase stamina. But Apple whom only has ONE new generation of phone every year shouldn't have these problems. In fact hearing this only scares off potential new customers. I wouldn't trust a company who can't maintain the product quality with newer OS-revisions. Can't say I've seen any more or any fewer bugs/lag than before. Performance seems about the same.